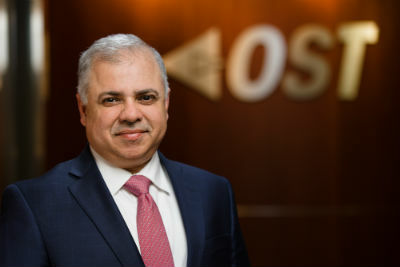 Vijay Narula is the founder, President and Chief Executive Officer of OST. Under Vijay’s leadership, the company has achieved extraordinary success and growth, stimulated by OST’s vision as a leader in transformational technologies and world-class solutions in diverse operating environments. Prior to starting OST, Vijay worked for more than a decade — first as professional staff member and then as a management consultant — for a technology consulting firm located in Northern Virginia. He has deep experience in the field of aviation, having worked on several programs for the FAA in Washington, DC, some of which focused on spectrum engineering and management, which is an essential element of cyber protection. To this day, he continues to serve as the firm’s technical visionary, with a particular focus on “SMART” technologies. These are technologies that will affect every sector, because they will enable disruptive innovations – from optimized infrastructure to advanced data connectivity. Furthermore, “SMART” technologies represent a powerful opportunity to efficiently connect ideas to outcomes. Some of his other accomplishments include speaking engagements at several major events, including the Public Private Partnership (P3s) as well as serving as a panelist for a discussion about the acquisition of information technology for the Department of Homeland Security. Vijay actively supports numerous civic, cultural, and business organizations, and is an advocate for quality in K-12 education.